ZTE had offered a new LTE surfstick for Germany network providers. 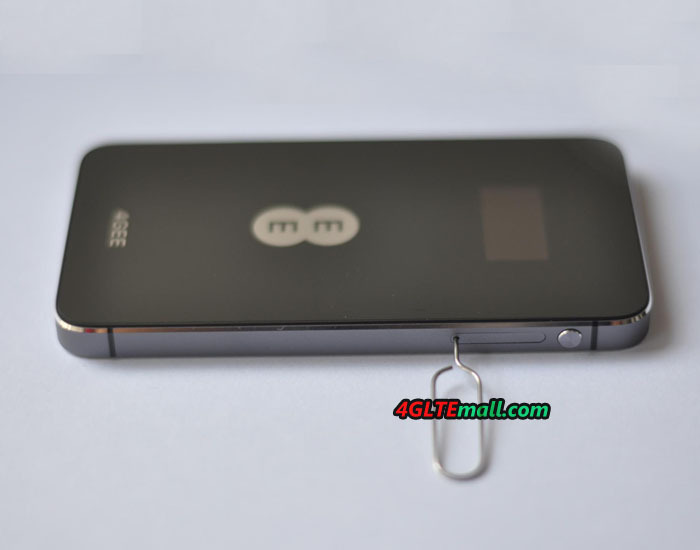 The model ZTE MF823 is for 1&1. The brother model ZTE MF823D is also available for the operator O2. 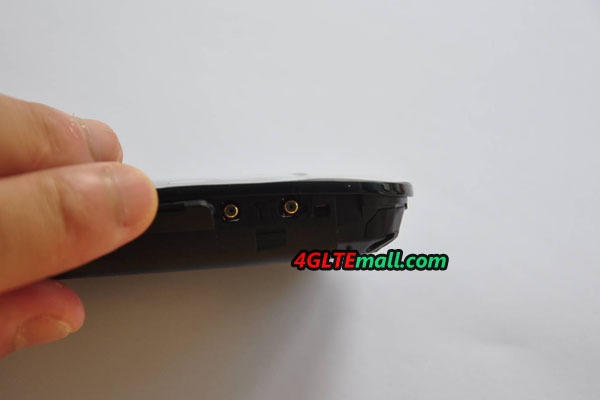 Below are the details features for ZTE MF823D. The ZTE MF823 from Chinese telecommunications equipment vendor ZTE, replaces the current model MF821D from O2. All thing should be mentioned that ZTE MF823 is not the best USB stick when the ZTE MF825 is also in its product range. It supports LTE category 3 (max. 100 Mbit) and therefore with all networks from O2. In any case, the mobile service provider can offer data connections on the basis of category 4, which allows data rates up to 150 Mbps. It supports the LTE frequencies at 800, 900, 1800 and 2600 MHz – for operation in European countries. Likewise, the MF823 could also support DC-HSPA+ (to 42.2 Mbps), UMTS and GSM networks. Unlike the Speed Stick 4 by Telekom, the stick fortunately has two connectors for an external antenna – optional to improve reception. Like almost all other models, user can insert a MicroSD memory card of up to 32GB of storage space for data of all kinds. Users do not have to install an extra software for the MF823, which would be auto connect to network. It is controlled conveniently from the browser via the web interface. It is enough to enter the following IP in the browser: http://192.168.3.1. The interface shows all important data at a glance. And you can see, how much volume you have already used in the current billing month. The stick is also compatible with the IPv6 protocol. According to the manufacturer ZTE, the MF823 uses about 1/4 less power than even the previous generations. It’s special for operation on a laptop or tablet. We are also pleased that quite modest dimensions of the model. At just 13 mm in height and 26 grams, it is one of the shallower representatives of its kind. It is alleged that the world’s smallest LTE data modem. Important to mention would be that there is no SIM lock, so the drive can be used with Contract card of other network operators. The ZTE MF823 for O2 can provider users at an acceptable price for mobile Internet. With slim size and decent network support, it could be good partner for laptop. It’s available on www.4gltemall.com . But if you want to find better models, the Speed Stick III or the Huawei E3276, may be good options, but they are also more expensive. Huawei E5786 is one of the first routers with CAT6 in the world. Even in the summer of 2014, the model E5786 came on the market. Below are the key data of the huawei E5786 Mobile Hotspot for reference. 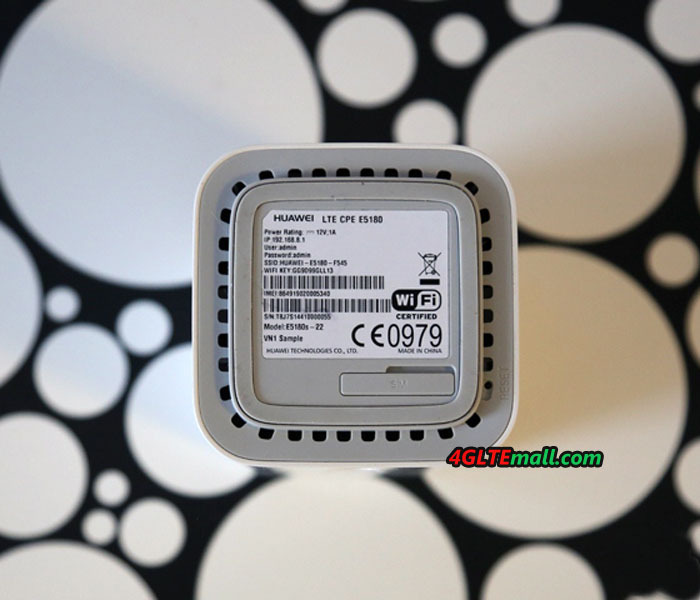 The Chinese manufacturer Huawei introduced the world’s first MiFi router E5786 for LTE-Advanced at the Mobile World Congress in February 2014. The E5786 should be the first mobile router with support for LTE CAT6. But the rival ZTE has a similar device called “ZTE Flare”. This seems at higher quality than the counterpart of Huawei. As already indicated, Huawei E5786 is the first LTE-Advanced equipment with Category 6(CAT6). The current LTE networks comply with category 3 and 4 (CAT 3/4), which take 100-150 Mbit/s for download speed, but with Cat.6, the speed of 300 MBit/s could be achieved for download, practically doubling the current level. However, these data rates will initially only be available in selected cities and probably seldom achieved in practice. The Mini-Router supports LTE to almost all popular bands. For example, 800, 1800, 2100 and 2600 MHz. Of course, it dominated Carrier aggregation at cat.6 and can thus achieve up to 300 Mbits downlink and 50 MBit upload rate. Besides the supported earlier LTE categories, it supports as well as 3G and 2G wireless standards. The Huawei E5786 sets chip on Huawei Hisilicon with a HPM Cortex 9 processor while ZTE flare has a modern block Qualcomm Gobi 9 × 30 chipset in ultrathin 20nm technology. Users can set up a Wi-Fi hotspot for up to 10 other terminals to log in, and over all popular wireless standards (802.11 a/b/g/n/ac). Data can be exchanged internally with up to 300 Mbit/s via WLAN AC. The operation runs in the dual-band, so either to 2.4 or 5 GHz. Negative falls on first, that the battery is not removable. The capacity is with 3000 mAh, practically high standard. This should make up 10 hours of online work or 500 hours standby. As usual, the Operation can be carried out via the browser. Per QR codes, which can be displayed optionally on the display let you integrate quickly into smartphones network, which considerably facilitates the establishment. In addition, Huawei has a special app that can monitor and configure your wireless network. The interface informs the used traffic and provides the wireless data rate represents a graphical trend. There are connections for external antennas and a Micro SD slot. The antenna format is TS-9 here. The Germany Telekom has the identical model in the form of “Speedport II mini” as an OEM version. 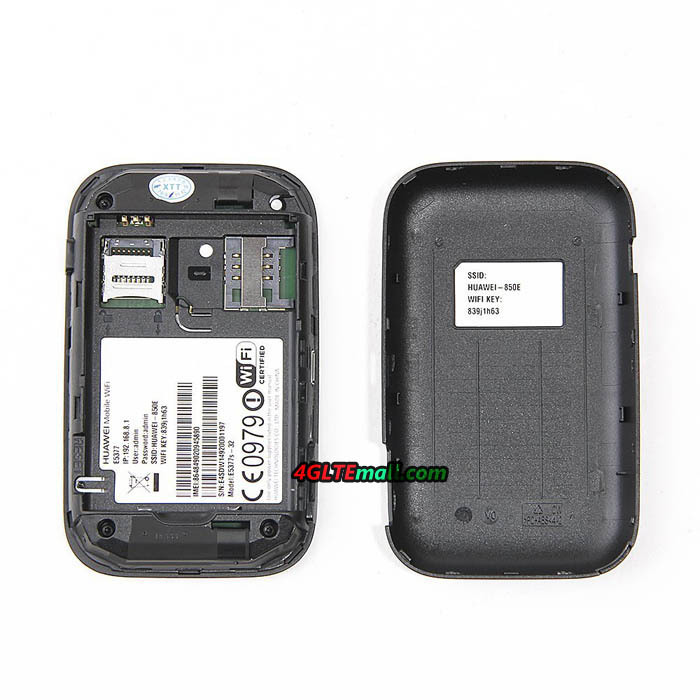 The original Huawei E5786 was available on the online trade store www.4gltemall.com . If you like the unlocked original version Huawei E5786, welcome to have a check. Recently, we tested several Huawei home routers. The powerful platforms and attractive price are interesting. However, the software can not always satisfy demanding users. 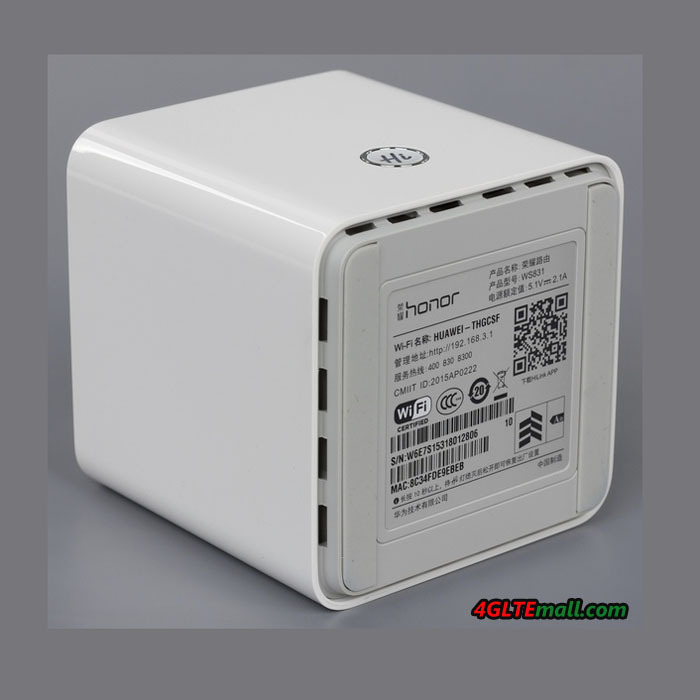 In this article we look at the router Huawei Honor Cube WS831, which also has a second name “Honor Cube” in some sources. 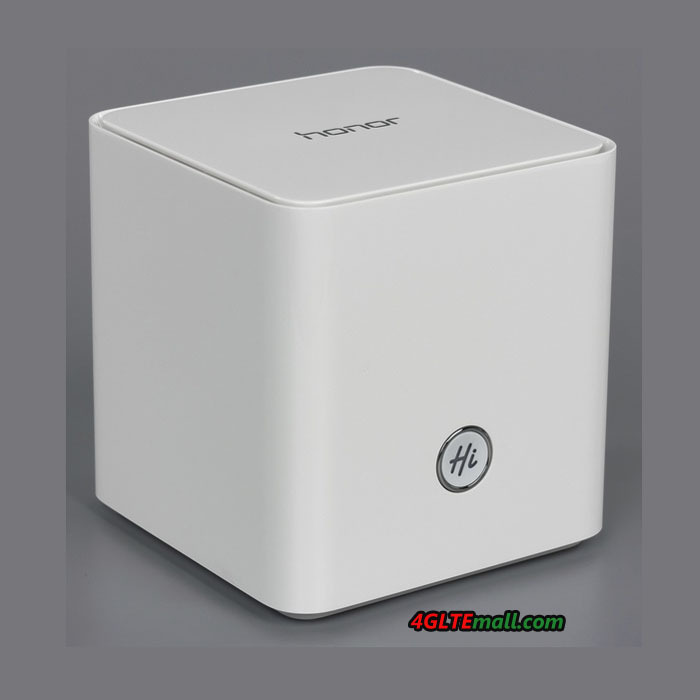 This Honor Cube model has wired ports 100 Mbit/s (one WAN and two LAN), two wireless access points in the 2.4 and 5 GHz, and it supports the current protocol 802.11ac, and is equipped with a USB 2.0 port for connecting external storage devices. 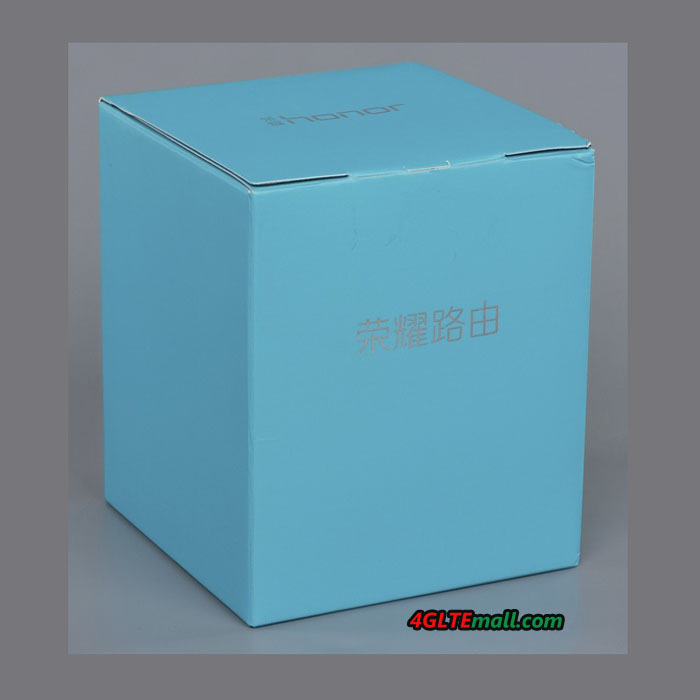 In testing, we used the unlocated devices, so it was difficult to find even English letters on the box and in the instructions and in the web interface. Provided that this model is not on the manufacturer’s website, and not even any documents, it is possible that we will miss some of the features of the device. Packing router has an almost cubic shape and unusual celadon. No technical information on it, apparently, except for references to a faster processor, support for 802.11ac and company management utilities for mobile devices. The package includes the router power supply 5.1 V 2.1 A flat Gigabit Ethernet patch cable, a brief description, a warranty card and, as a bonus, the calendar for this year. The body of the router is made of white glossy plastic. Its dimensions are 90 × 90 × 94 mm. The top cover is printed the name of the series – Honor. On the edge, the slit are passive ventilation. The second group of holes can be seen in the lower part of the housing. On the front side is a button «Hi» with chrome rim and a built-in multi-color display, which probably used to connect wireless clients on technology WPS, and reset (with a long press). All connectors are assembled on the rear panel – input power supply, one port WAN, LAN port and two port USB 2.0. Turn the power of this model is not provided. The bottom of the selected gray matte is plastic. Based housing has two large rubber inserts that hold it firmly on a flat surface. But you can not fix this model on the wall. There is also a sticker with information about the device, where you can find the wireless network name by default, MAC- and IP-address, serial number and other data. The main processor unit can be found labeled “5650”. The network has information about the fact that he is a SoC HiSilicon SD5650H with a pair of ARM-cores running at 1 GHz. Given the absence of heat sinks on the chip, and the use of wired ports only at 100 Mbit/s, it is hard to believe in these characteristics. The RAM of the device is 128 MB, and has 16 MB of flash memory for firmware. The Fast Ethernet controller for network is built into the main processor. The model is equipped with two radio blocks: Realtek RTL8192ER responsible for 802.11b/g/n 2.4GHz, and Realtek RTL8812AE for 802.11a/n/ac 5 GHz. Both chips use a configuration of two MIMO antennas that gives the maximum connection speed of 300Mbit/s and 876 Mbit/s, respectively. On the radio blocks, there are no radiators. Antennas are built-in in the model and are on opposite inner walls of the body. 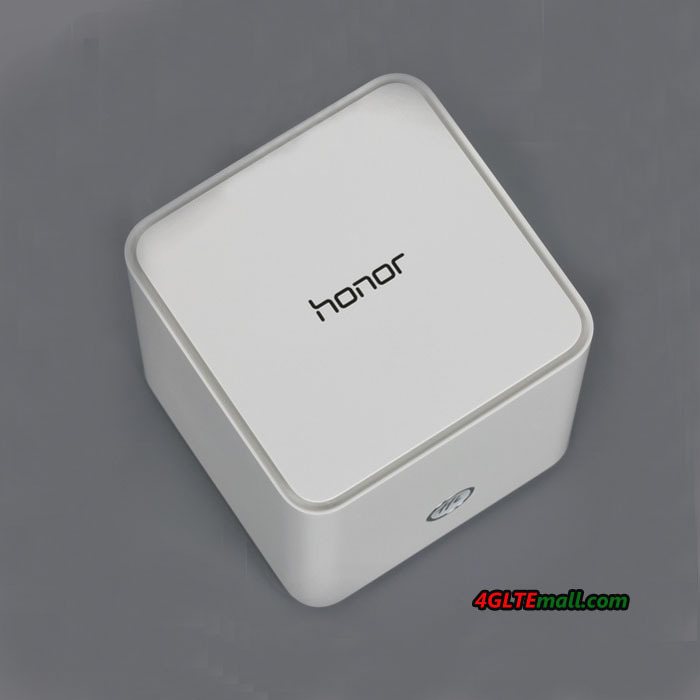 The Huawei Honor Cube Ws831 is a cool wireless router with high speed for download. So if you would like it, welcome to purchase from www.4gltemall.com . 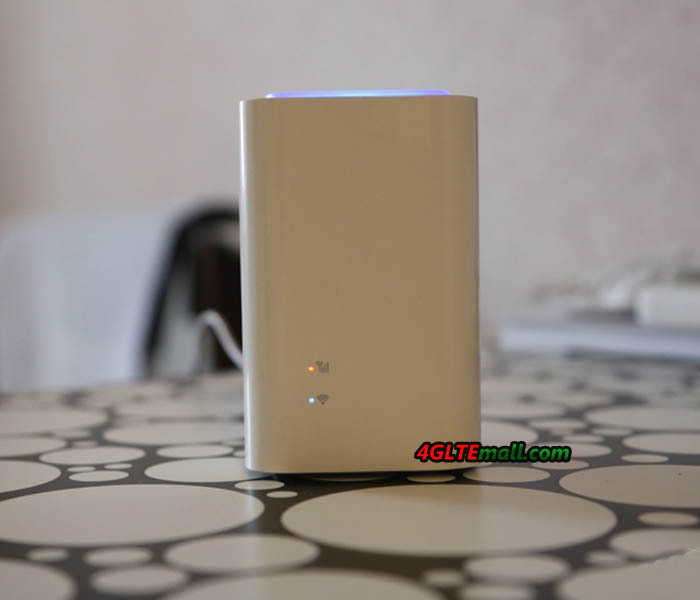 The Austrian provider A1 Telekom Austria presented an 4G/LTE+Internet box( also a new LTE router), the model number is Huawei LTE Cube E5180, which is hidden technically. The Box proves that a router does not have to look dull or even ugly: The technology of E5180 puts in a chic, white square whose design amazingly reminiscent of Apple. Power consumption ca. k. A. With 11 x 7 x 7 centimeters and 250 grams in weight, the A1 Internet box 4G/LTE E5180 is portable enough to be used as a mobile LTE router. The micro-SIM card comes in a slot on the bottom of the unit. In addition to the technical specifications, the design attracts the eyes. It is probably no exaggeration to say that Huawei E5180 is the currently most fashionable LTE router in the world. 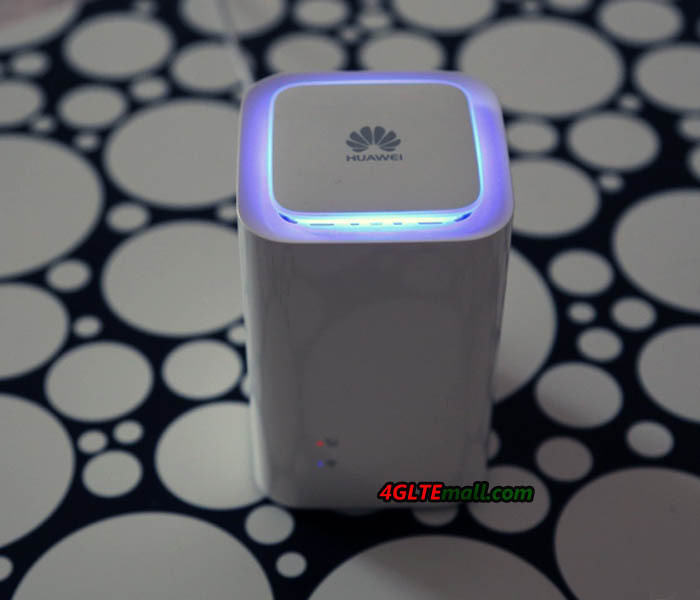 With the support LTE Category 4 and provided an appropriate collective as well as a developed network, Huawei E5180 Cube could achieve download speeds of up to 150 Mbit/s and 50 Mbit/s speeds for upload at 800, 1,800 and 2,600MHz. If no LTE network available, thanks to the support of DC-HSPA+, the E5180 Cube could reach download speed up to 42 Mbit/s. The only drawback that we could find in the router: It has incomprehensibly no connections or ports for external antennas. Therefore, one should keep a close eye on reception quality. If the signal is weak, you should move the location of the cube. 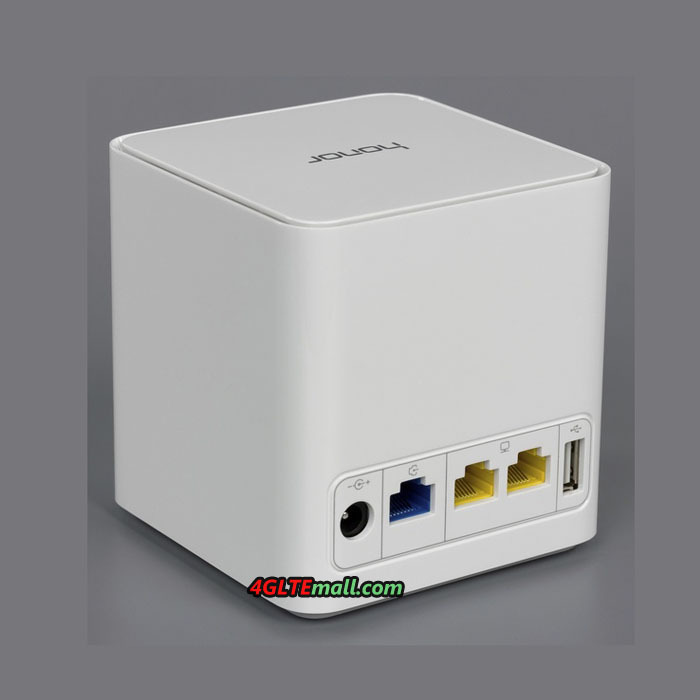 Up to 32 devices in the house can be supplied with the A1 Internet box 4G/LTE E5180 via WLAN. The connection is elegantly solved: By pressing the blue backlit lid of the box, Wi-Fi 802.11 b/g/n is activated. Huawei promises a wireless range of up to 250 meters with a possible maximum speed of 300 Mbit/s. At the same time, the cover also serves as a WPS button, with the click of a button easily and quickly WPS encryption is built (WPA and WPA2 are also supported). The A1 E5180 dominated UPnP (Universal Plug & Play) and is also protected by an integrated firewall. For wired Internet connections, the E5180 has only one Ethernet port, here you would already want multiple ports. On the back there are the RJ45 output, the RJ11 port for an analog phone or fax machine as well as the connection for the 12-volt power adapter. The Internet box 4G/LTE E5180 there are offered by A1 for new customers at no extra charge when booking an A1 mobile Internet tariff (S/M/L). 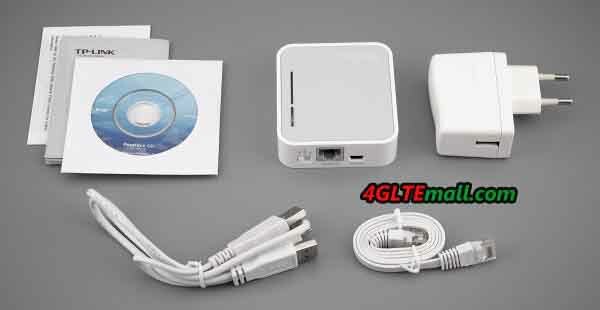 If you want the unlocked version of Huawei E5180 A1 Internet box, you can check the online website www.4gltemall.com . We provide international shipping with one year warranty. Huawei adds its router family with a new model E5377, which is a new LTE “pocket-Hotspot” with small size. Here, the Huawei E5377 is not only with fast LTE category 4, but also with its low price points. 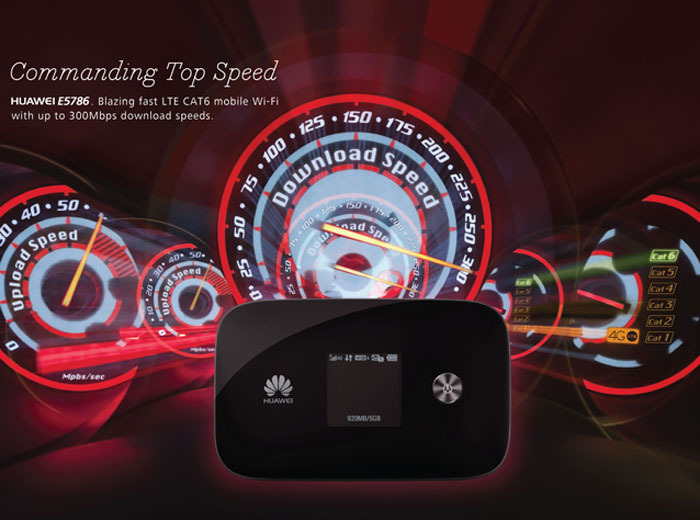 The Huawei E5377 offers download speeds up to 150 Mbit/s and 50 Mbit/s upload through its LTE Modem category 4, assuming a corresponding LTE tariff. The LTE networks in Germany, Austria and Switzerland are supported on 800, 1,800 and 2,600 MHz. If no LTE available, the router also comes with the mobile radio standards GPRS, UMTS or DC-HSPA+ with speeds of up to 42.2 Mbit/s (download) and 5.7 Mbit/s (upload). The Wi-Fi standards a/b/g/n is supported on 2.4 and 5 GHz; THE faster Wi-Fi ac is unfortunately not supported. 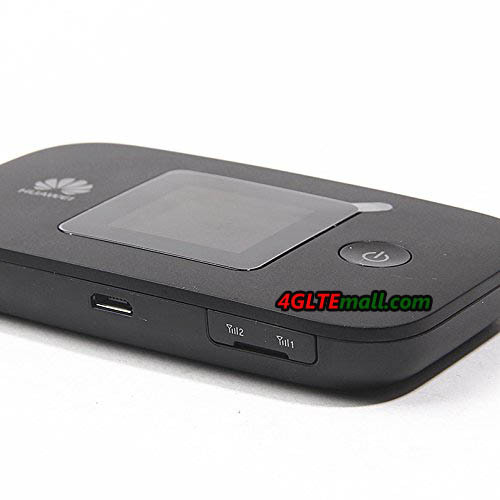 Up to 10 devices can be supplied by Huawei E5377 with wireless Internet, another via USB. In addition, a wireless repeater is integrated into the E5377, which switches automatically from the wireless coverage to a known wireless LAN network when it is available. The hotspot is the smartphone controllable via the Huawei App “Mobile WiFi”, available for both Android and iOS. Access to the web interface of the router is also obtained through a browser. The operating systems Windows XP / Vista / 7/8 / 8.1, Mac OS X will be supported from version 10.7 and Linux. The 1.45-inch TFT LCD display indicates the type, the name and strength of the cellular network, the communication direction (upload / download), the repeater function and battery status, as well as the number of connected devices, the name of the WLAN network, the connection time and the transmitted data volume. On the bottom of the email, with 9.4 x 5.7 x 1.4 centimeters and very compact with only 82 grams to slight router, two connectors for external UMTS/HSPA+/LTE antennas can be found next to the microUSB port. With matching adapter, SMA antenna can be used to increase the data rate mainly in the house. On the top, the menu button is to get information or make adjustments. The Huawei E5377 has a micro SD slot which accepts cards up to 32 GB capacity. The replaceable battery is only 1,500 mAh; and the surf time of up to 6 hours and a standby time (without WLAN) of up to 300 hours. Therefore it’s recommended to carry a spare battery. It comes with only a micro-USB USB cable, but no external power supply adapter – here you have to recharge by connecting it to a PC like smartphones. The Huawei E5377 is available in black or white at the online store www.4gltemall.com. 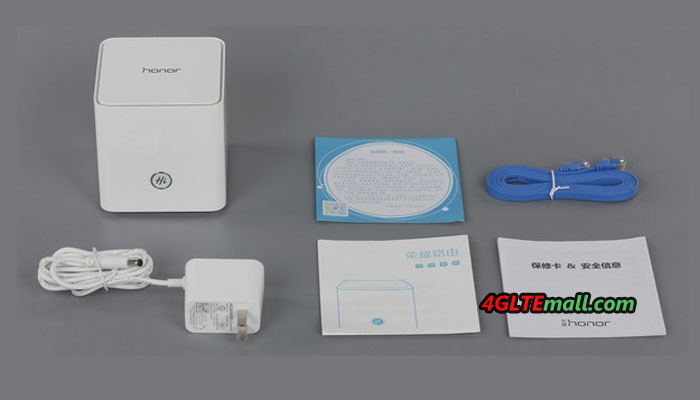 If you like this new mobile hotspot, welcome to purchase from 4gltemall.com. 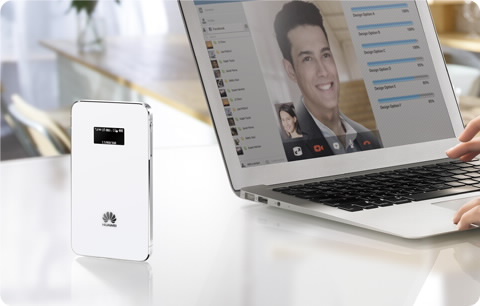 A router looks like a smartphone, and it’s slim like an iPhone, Huawei has presented a new mobile hotspot Huawei Prime E5878 in its product range. The LTE cat4 seems to be the main stream now. Huawei new mobile hotspots all support LTE category 4 or higher LTE standard. So the Huawei Prime E5878 could support peak download speed to 150Mbps and upload speed to 50Mbps. And it could support up to ten devices wirelessly and can be controlled via an app. The Huawei Prime E5878s-32 Mobile WiFi, looks really like a iPhone 4 from the side. With only 7.5 millimeters extremely flat, it can be easily carried in your pocket. The body is integrated in a aluminum enclosure measuring approximately 6 x 11 centimeters. At its 1-inch OLED display, the router displays how many devices are currently connected to him and how much data they consume already – ie sent and received volume. In addition, it shows the received and sent SMS, the battery level, the signal strength and the network used are displayed. The router has a 128MB of flash memory, as well as an equally large amounts of RAM. A micro SD slot for memory expansion does not exist. And there is a processor HiSilicon Cortex A9 with dual core. 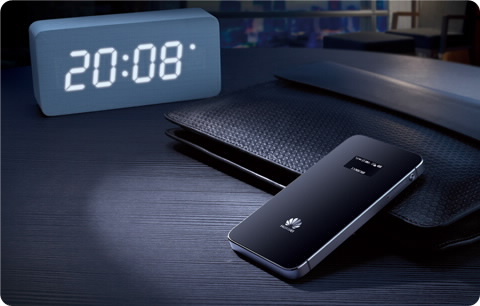 Equipped with the matching micro-SIM card including data plan allows the Huawei E5878 LTE Prime compounds Category 4 with maximum download speeds of up to 150 Mbit/s and uploads up to 50 Mbit/s. Here the 4G router is backwards compatible with 3G (HSPA+ up to 43 Mbit/s) as well as 2G and has two internal antennas (one on each side of the head of the device) for optimal connection. However, an external antenna can not be connected. When you have WiFi with standard 802.11b/g/n, it usually takes on 2.4 GHz with up to 300 Mbit/s downstream to be connected. The wireless radio should be 100 meters, with up to ten devices can be connected to the wireless hotspot. The Prime E5878 can be adjusted through a smartphone or tablet. When connected to a computer, it supports the operating systems Windows XP, Vista, 7, 8 and 8.1, and Mac OS X 10.7, 10.8 and 10.9. Firmware updates for the device to be supplied by the manufacturer online. Owners of Android smartphones can be downloaded from the Google Play Store, the Huawei Mobile WiFi app and simply connect your smartphone to the router by reading the bar code on the device. With the app, the router can also be controlled via the smart phone as well as further information is obtained. Through the Micro-USB port, the battery can be charged. With an adapter cable available as an option, a USB-to-Ethernet connection is possible. Push button start, the hotspot is to be operational within 5 seconds. The battery gets to 1,900 mAh, and according to the manufacturer, it should last up to 8 hours of surfing or 380 hours in standby. The capacity would be not enough for surfing, especially since the battery is not replaceable. The Huawei prime E5878 is available since Q2 2015 at www.4gltemall.com. It’s a pity that the battery of the E5878 can’t changed and there is connector for external antenna. 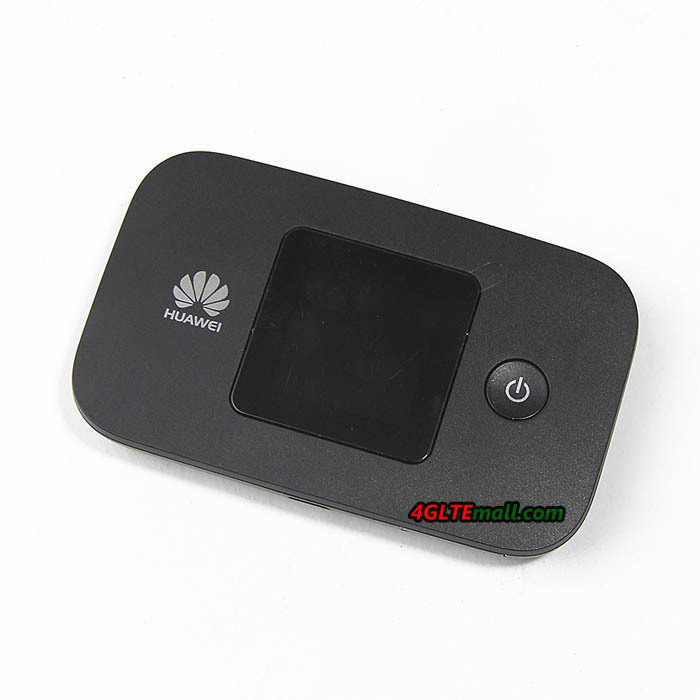 If you would like a mobile hotspot with replaceable battery and antenna connector, you may try other model such as Huawei E5372 or Huawei E5377. The Taiwan manufacturer D-Link introduces a new LTE Cat4 router DW-932, which serves as a mobile wireless hotspot for smartphones and tablets. The DW-932 encrypted signals reliably and is compact enough for your pocket, but it also has its weaknesses. 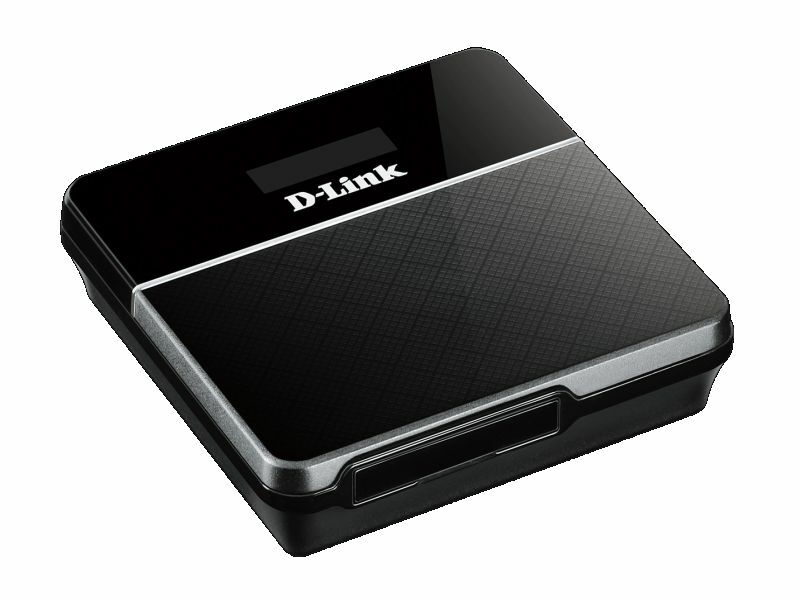 Today, we will have a look at the advantages and disadvantages of D-link DW932. The D-Link DW-932 is an category 4 LTE router, ie, in a suitable micro-SIM card with LTE tariff, up to 150 Mbit/s could be achieved to surf the web. In upload, a maximum upload speed of 50 Mbit/s is possible. Where no LTE is available, the DW-932 can switch to UMTS network as backup. As a mobile hotspot, the device supplies a few devices could be connected to DW-932 (the exact number is not said by D-Link); the fast Wi-Fi ac is not supported. Safety is a top priority at the DW-932: Pushing a button and get encrypted with WPA or WPA2 connection to other mobile devices made via WPS (WiFi Protected Setup). In addition, the router has an internal firewall and NAT (Network Address Translation). On the little display, D-Link DW-932 indicates the network type, signal strength, roaming status, incoming SMS, the Internet connection, the provider, the battery level and wireless encryption. Although not exactly the black, DW-932 is a beauty, it is with dimensions of 7.3 x 7.3 x 1.5 centimeters at 77 grams of weight, which is very compact and so perfectly suited as a mobile travel companion. It can provide his services on holidays available if it supplies the whole family with “Free WiFi” with only a local prepaid card. The DW-932 Battery has the capacity of 2,020 mAh on the paper. However, in our test, the useful life is only 4 hours, which would be below the average and very disappointing. Other manufacturer do this better, for example, the Huawei E5878 Prime with a weaker battery could runs twice long surfing time. To charge the battery, you need connect the USB port of a PC. Even if it is handy and convenient, the D-Link DW-932 has a few weaknesses. Here now we have other alternatives from Chinese Huawei and ZTE, the recommend models are Huawei E5372, ZTE MF93D. They are popular in Europe and Asia. 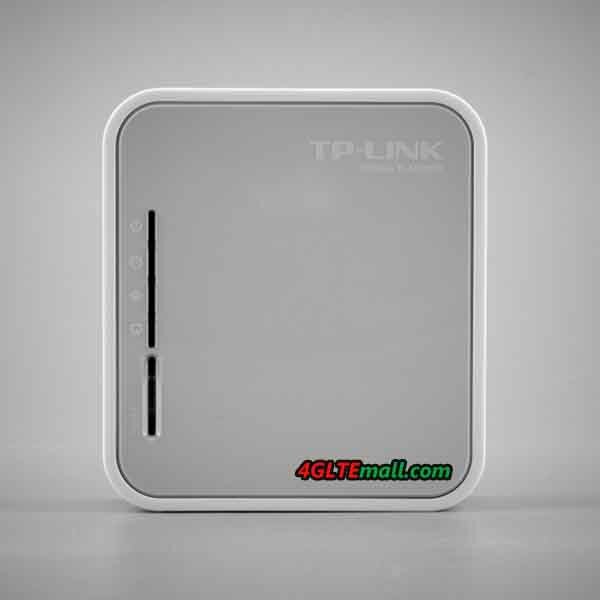 The TP-Link TL-MR3020 is a small, handy wireless router with a USB port, which can make him a Wi-Fi hotspot, but user has to connect an LTE stick or an LTE modem to the router. TL-MR3020 work with the LTE stick to provide wireless Internet. With dimensions of 7.4 x 6.7 x 2.2 centimeters, the small white box TP-Link has the right size for on the go. The TL-MR3020 has an Ethernet port (RJ45) for a LAN connection, a mini-USB port for power supply via an adapter or a PC and a standard USB input for connecting a mobile drives or modems. The TP-Link TL-MR3020 has no display, but only through green LEDs that indicates the Internet connection, the WLAN status and LAN connection as well as encryption. A slider can switch between 3G/4G, and WISP AP. WISP (Wireless Internet Service Provider) stands for Wi-Fi access, AP (Access Point) for a wired internet connection. If you put an LTE stick in the USB port of the TL-MR3020, a data connection to an available LTE network is established in 3G or 4G mode. 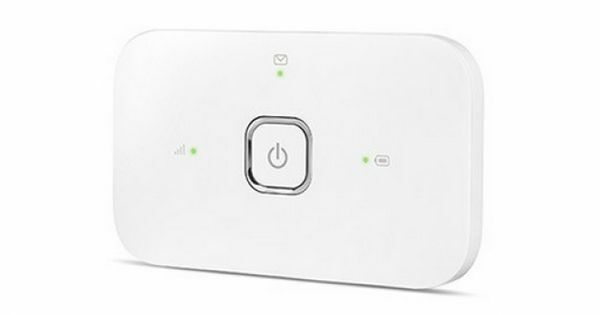 Subsequently, the TP-Link TL-MR3020 connect with devices such as laptop, smartphone or tablet as wireless hotspot to provide Internet via Wireless LAN. What’s more, the TP-link TL-MR3020 can support 802.11b/g/n with up to 150 Mbit/s at 2.4 GHz. The TL-MR3020 has the way over an IP QoS function (Quality of Service), with the leave of bandwidth as desired spread on the connected devices. The safety of the data links ensures encryption up to WPA2 via WPS button (WiFi Protected Setup) which can be prepared quickly. A firewall is also on board. The router can be configured via its own URL with a browser. Supported browsers include Internet Explorer, Firefox, Chrome and Safari as well as the operating systems Windows (from 98), Mac and Linux. By the way, it is recommended to download the manufacturer TP-Link the latest firmware for the router to ensure compatibility with as many modems and sticks. 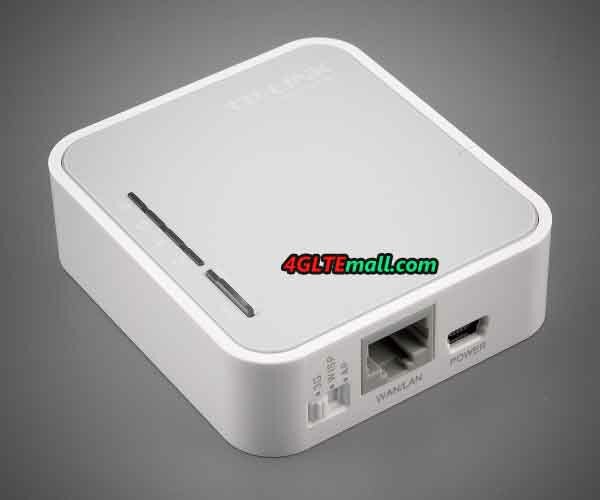 What benefit a wireless router can bring to you into which you can slot in its mobile stick? First of all, if you have an LTE stock, you will get a new mobile hotspot with their combination. In addition, Hotspot and stick can be placed where the best wireless coverage exists. You can also use the Ethernat cable in a hotel or at home to get Wifi network. The TL-MR3020 is recommended only if you already own a mobile stick and usually travel and would like to connect more than one device. 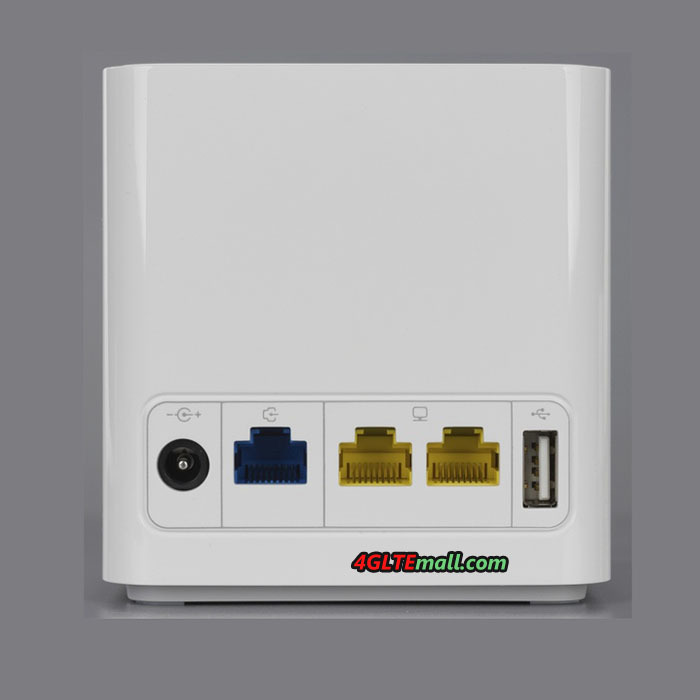 Otherwise it is better to buy a real mobile router such as huawei E5776, ZTE MF93D. They don’t need USB stick and can work directly with SIM cards. 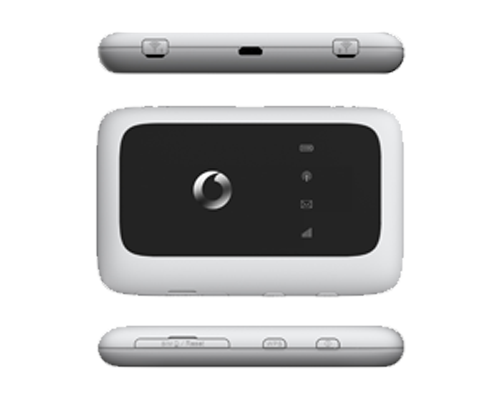 As the successor of the LTE router R215, Vodafone takes the new mobile hotspot R216 in its range. The R216 dominated LTE category 4 and is again produced by Huawei. Alternatively, the sister model produced by the Chinese competitor ZTE R216Z to select which has features similar specifications. The Vodafone R216 accepts cards on the mini SIM format and accesses the LTE network of category 4 to download with speeds up to 150 Mbit/s and 50 Mbit/s upstream. Here, the mobile router uses 5 frequency bands: Besides the usual bands 800, 1,800 and 2,600 MHz additionally 850 and 900 MHz, which are used in the US and Asia for LTE. The R216 is backwards compatible with UMTS, including DC-HSPA+ and GSM and radio in the WLAN b/g/n to 2.4 and 5 GHz. WLAN ac is not supported. Up to 10 connected devices can be supplied. The router does not have connections for external antennas. The Vodafone R216 has a Huawei subsidiary HiSilicon Balong-711 chipset, the 128 MB RAM and 256 MB ROM stand aside. A memory expansion via an SD card is not provided. Vodafone R216 does not have a display. Information on the device itself can only be seen from the LED, and this indicates only when the battery has enough charge, the connection is active on the network or a new SMS has been received. So you have access to more information and settings on the interface of the router on Web PC – or you use the Vodafone Mobile Internet App for smartphones and tablets. After all: The Vodafone R216 already dominates the Internet Protocol 6 (IPv6), which may facilitate, inter alia, the configuration of connected devices in a home network. Is changeable. Vodafone provides a runtime of up to 8 hours in 3G network and 6 hours in 4G network, with each 5 users simultaneously. In standby, the battery will hold about 300 hours. Charging battery can use the supplied USB cable, either on the PC or via an adapter to the electrical outlet. There is a brother model named Vodafone R216-Z. The slightly more compact sibling with the suffix Z is also designed for LTE Cat4, is equipped with a different chipset Qualcomm MDM 9225 from the manufacturer ZTE. The Vodafone R216-Z has 512M ram bout twice as much flash memory, the router also can be used for memory expansion micro SD card holds up to 32 GB. It also has a wireless repeater function and two sockets for external antennas to improve reception quality. Also the R216-Z battery is significantly stronger than the R216 with 2,300 mAh. However, a display does not have even the Vodafone R216-Z. 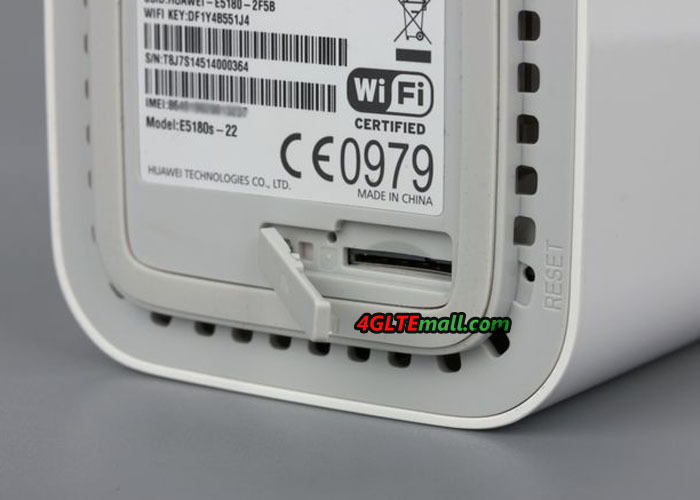 The Vodafone R216 Huawei is a mid-LTE router, the display and SD card slot is missing. The Vodafone R216-Z ZTE has to offer as even more with memory expansion and a stronger battery. If you want to see more details, welcome to check on www.4gltemall.com . 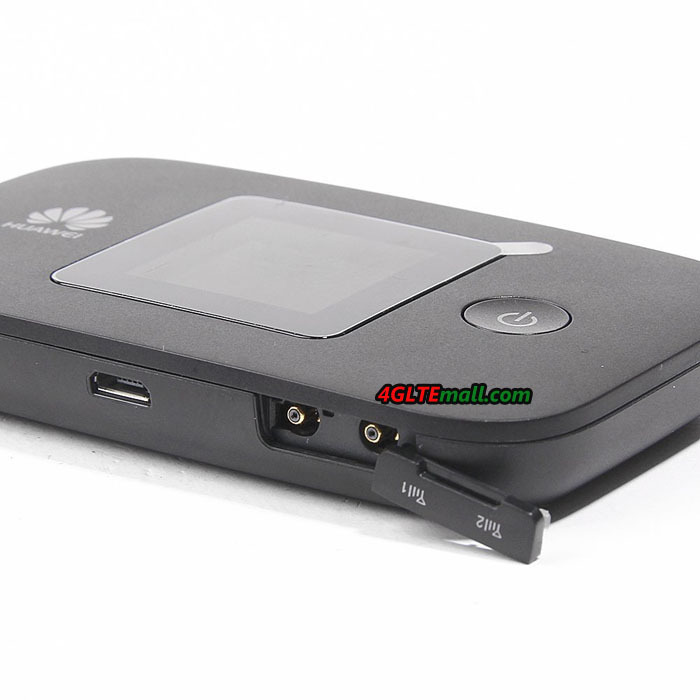 This mobile LTE hotspot Huawei CarFi E8377 is for your car, it’s designed for the network solution in a car. It is simply plugged into the cigarette lighter and provides the mobile devices of the occupant via LTE with fast internet. All the key data and performance values here. The Huawei HiLink Carfì is almost 9 centimeters long and a weight of just 150 grams. The manufacturer’s specification of just under 50 grams proved to be false after our test. It is plugged into the cigarette lighter and play for the vehicle and does not require any special installation. Operation is via a browser interface or via the “Mobile WiFi” app from Huawei, which is available both for Apple’s iOS as well as Android smartphones. It’s possible that the data consumption can be monitored via the stick, as well as sending and receiving text messages. 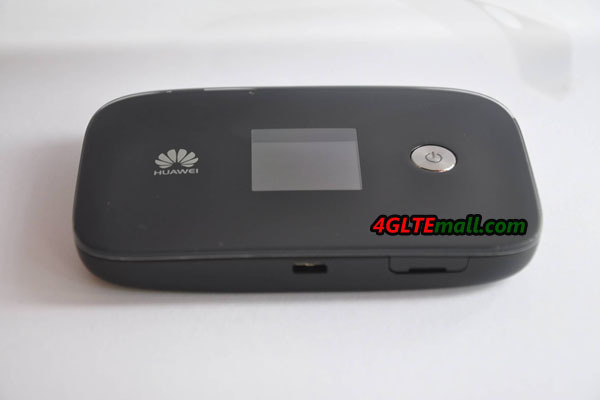 The Huawei HiLink Carfì E8377 is compatible with LTE category 4 and provides a data connection with inserted micro-SIM card, matching tariff and of course LTE availability during the journey. Up to 150 Mbit/s downstream and 50 Mbit/s upload could be achieved. Besides the usual frequency bands at 800, 1,800 and 2,600 MHz in Europe, the 900 MHz and 2100Mhz are also supported for trips abroad. Where no LTE network is available, the CarFi E8377 reverts to UMTS including DC-HSPA+ with download speeds of up to 42 Mbit/s. 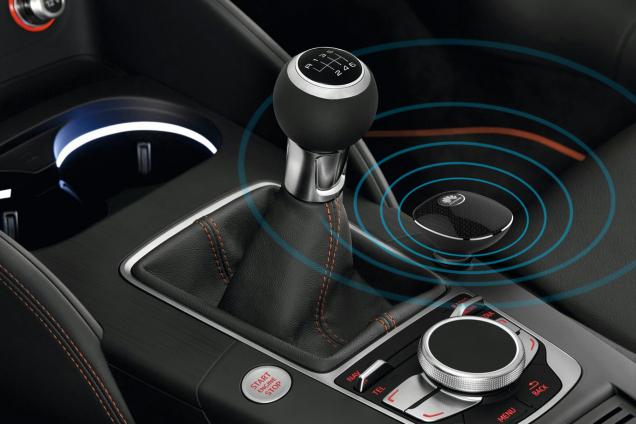 Subsequently, the mobile hotspot for up to 10 connected mobile devices in the car can be supplied with supported Wi-Fi 802.11 b/g/n. The data connection is possible via WEP, WPA or WPA2 encryption. In addition, an external antenna can be connected to improve reception on HiLink Carfì. An integrated protective function is to regulate the operating temperature of the sticks and so prevent it overheats. the HiLink Carfì is equipped with a standard USB port; smartphones or tablets can also be recharged while driving through the Huawei CarFi. A USB cable is not provided with the CarFi. The stick itself is powered by the cigarette lighter with 12 volts, according to Huawei and it consumes less than 20 watts of power, and it is not intended as the car battery take excessively. In addition, it switches off automatically after two hours of inactivity. The HiLink Carfì also has its own built-in battery with 1,900 mAh capacity, can therefore also perform his duties outside the car. 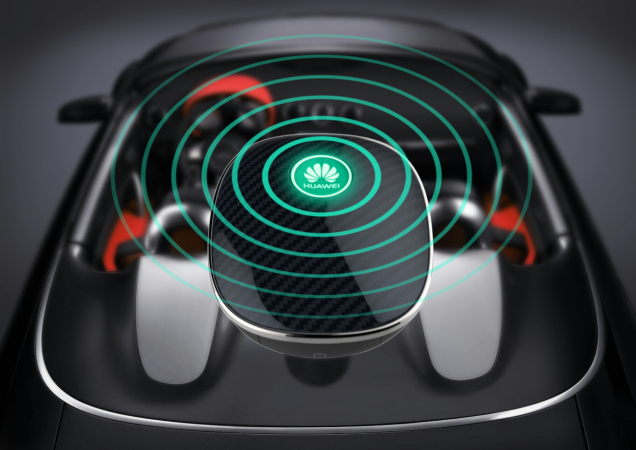 Huawei E8377 Hilink CarFi can connect into the LTE network during driving and provides the occupants “Free WiFi” for their smartphones and tablets, sounds practical. To continuously ensure the maximum surfing speed, the LTE network still needs to be better developed well. After all, as well as UMTS is supported, the Huawei HiLink Carfì is easily supplied via the cigarette lighter power, can charge other mobile devices via its USB port and even has its own battery, are further plus points. The Huawei HiLink Carfì is in the color black and commercially available on www.4gltemall.com. If you like it, welcome to check.